Both politicians and medical doctors are weighing in on opioid use and misuse. But exactly what are opioids, and how and when should they be used? Deaths from opioid overdoses nearly doubled between 2009 and 2015 in the United States, according to a recent study. What are opioids? That’s simple: Morphine, oxycodone, hydrocodone, codeine, and fentanyl are opiods. Heroin is an illegal opioid. Opioids are derived from the opium poppy (or synthetic derivatives) and act on the nervous system to relieve pain. What’s not so simple is why the United States is in the midst of an epidemic of opioid misuse and overdose. We consume 99 percent of all hydrocodone in the world. Hydrocodone is the most commonly prescribed opioid pain reliever anywhere. What are opiods good for? Opioids are generally effective on pain, and physicians have to be able to prescribe drugs that can relieve pain. However, opioid use can lead to psychological dependence and physical addiction. Doctors also have to guard against what some believe to be restrictive laws that keep them from prescribing pain medications for patients who truly need them. Opioids are not effective for all patients with chronic pain, but patients frequently develop dependency despite the drugs not working for their pain. What Are Opioids’ Negative Effects? Opioids can produce significant side effects, including drowsiness, dizziness, and constipation. Opioids raise also the risk of bone fractures in older adults. One study showed that the annual fracture rate in the over-age-60 group increased from four to 10 percent among those taking opioid drugs. In another study, one-third of cancer patients using opioids scored lower on measures of confusion, disorientation, and forgetfulness. A third study showed that older patients who took drugs, such as codeine and oxycodone, after short hospital stays had an increased risk of becoming long-term narcotic users. A 2017 study in the journal Pediatrics reported that close to 70 percent of prescription opioid medications are kept in homes with children 17 and under where the drugs are not stored safely. The practice can lead to accidental ingestion among younger children and pilfering by high-school students. The findings support the need for more education and developing technology, such as “smart” packaging. The Centers for Disease Control and Prevention (CDC) issued new recommendations in 2016 for prescribing opioid medications for chronic pain. The recommendations are in response to the epidemic of overdose deaths in the United States, where more than 40 Americans die each day from prescription opioid overdoses. Non-opioid therapy is preferred for chronic pain, other than for cancer, palliative care, and end-of-life care. When opioids are used, the lowest possible effective dosage should be prescribed to reduce the risk of opioid use disorder and overdose. Providers should exercise caution when prescribing opioids and monitor all patients closely. 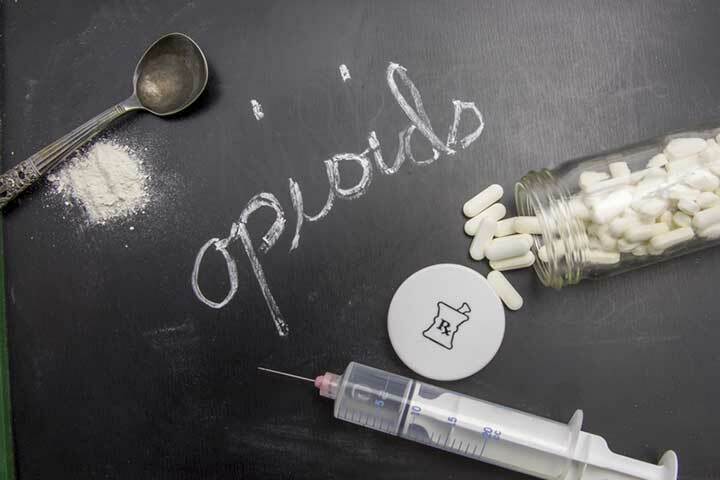 Some doctors are hesitant to prescribe opioids, both for medical and legal reasons, even though several studies have shown that the probability of addiction among chronic pain patients without a history of substance abuse is low. Proponents of opioids argue that withholding them causes unnecessary pain, that side effects can be managed, and that the risk of addiction is overstated. The American Academy of Neurology has taken a different position, saying the risk of opioids outweighs the benefits for conditions, such as headaches, low back pain, and fibromyalgia. back pain, bone, cancer, children, chronic pain, constipation, dizziness, exercise, fibromyalgia, Forgetfulness, headaches, low back pain, opioid drugs, pain, palliative care, relieve pain, side effects, what are opioids. I am glad this article attempted to present both sides of the issue, albeit somewhat circuitously. The truth is, no matter what the CDC or the Amer. Academy of Neurologists states, opioids are often necessary and the drug of choice for many pain conditions. Some patients cannot tolerate other meds, and insurance policies often don’t pay for them (also, they are experiental: they often just don’t work or have side-effects worse than those of opioids.) To suddenly discontinue opioid drugs is harmful; no doubt, killing people who have become used to them (which is not the same as true addiction, but more the body’s response to being on a drug for a long time). It is unethical to withhold or to suddenly cut such drugs from legitimate pain patients– most of whom are careful with their meds and compliant with their doctors; less than 1% of such persons are “addicts” (who abuse drugs). The wrong groups are being targeted in this war against drugs. Many pain patients are needlessly suffering. The CDC/FDA/DEA is also interferring with trust in doctor/patient relationships. There will be a nation-wise rally to address this problem on April 7, 2018. DON’T PUNISH PAIN! The above word should have been “experimental”, not “experiental”, but I see no way to edit comments. Thanks. I thought you might be interested in this article on https://universityhealthnews.com: What Are Opioids?